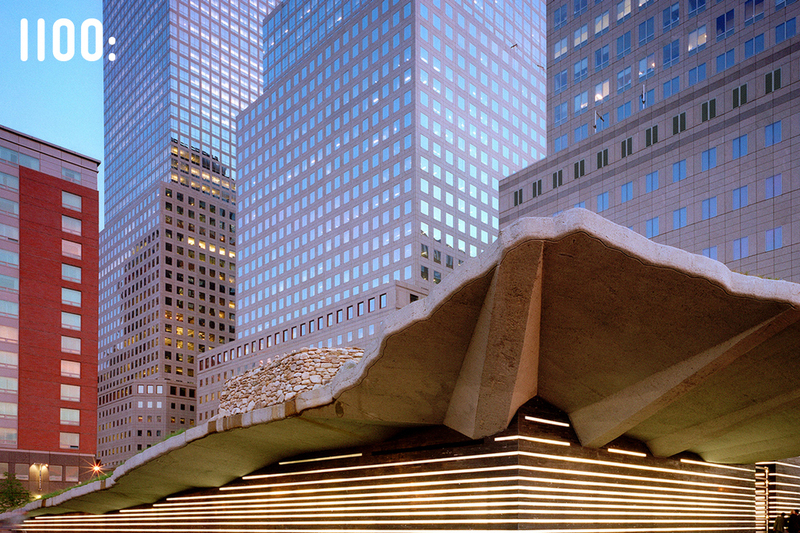 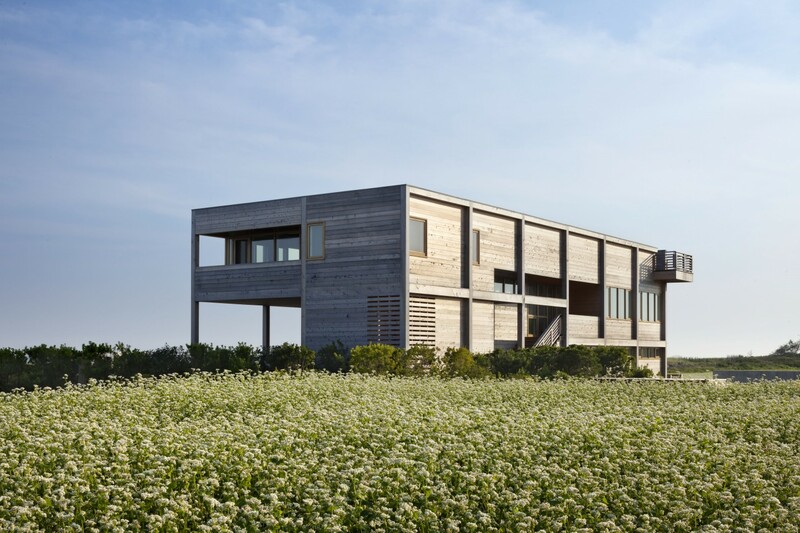 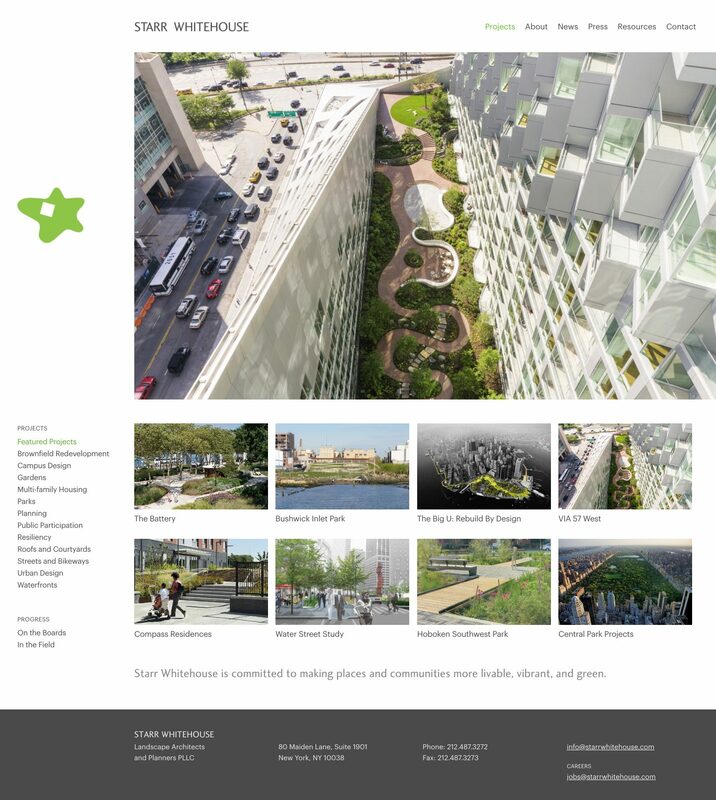 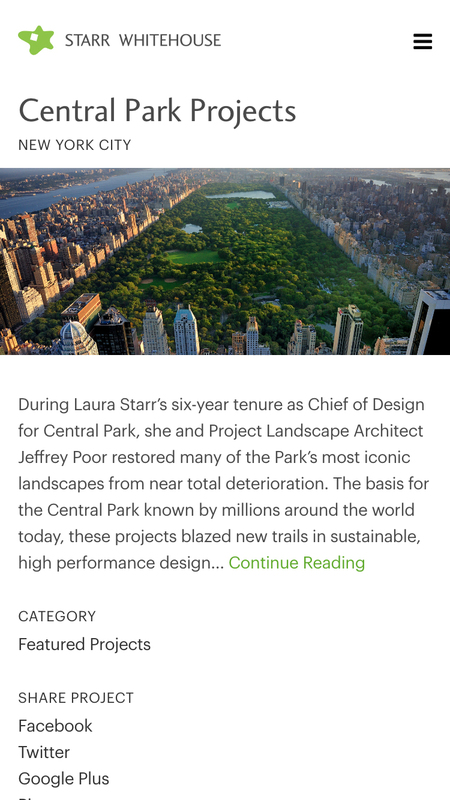 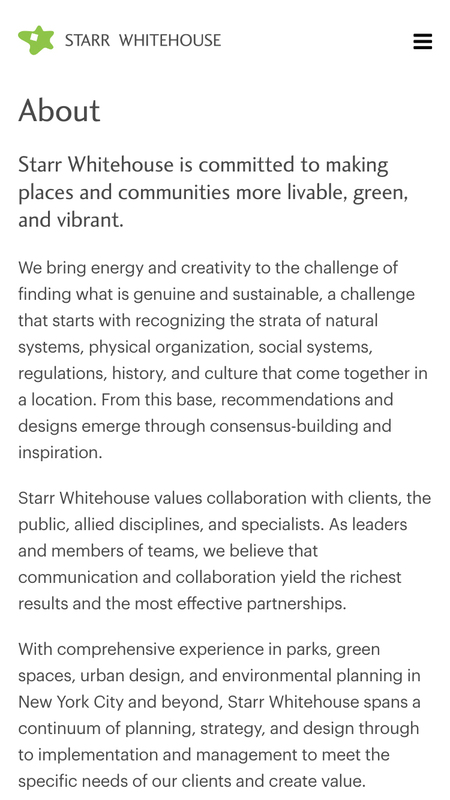 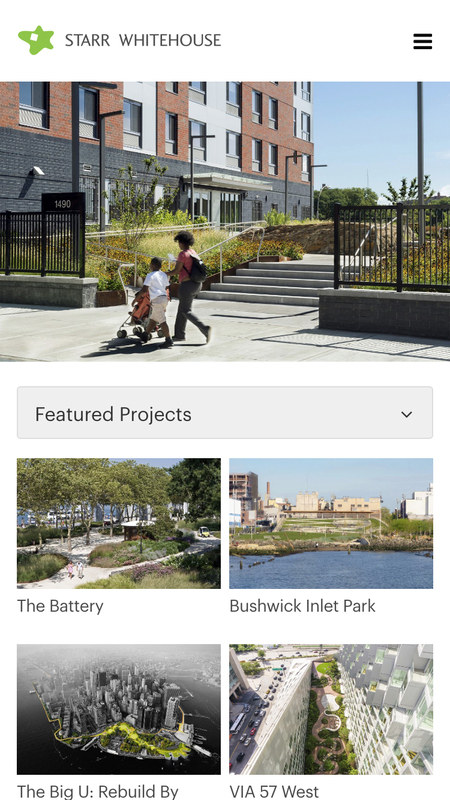 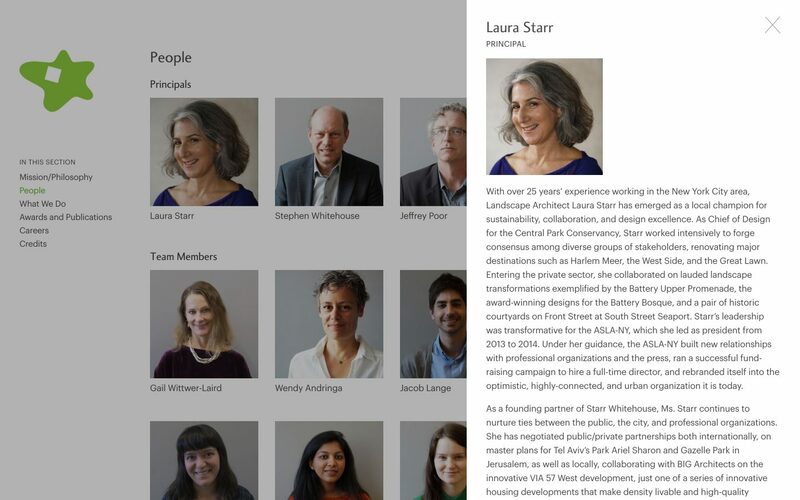 Starr Whitehouse is a landscape architecture and urban planning firm based in NYC with comprehensive experience in parks, green spaces, urban design, and environmental planning in New York City and beyond. 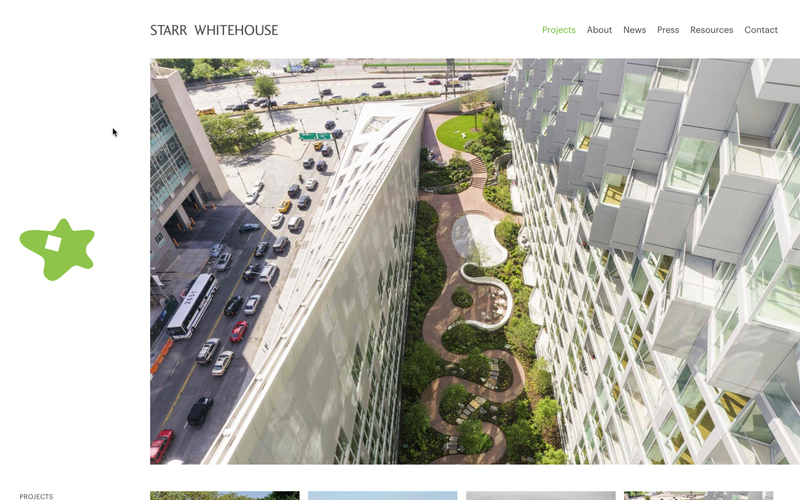 We designed and developed a responsive website to complement their unique brand identity. 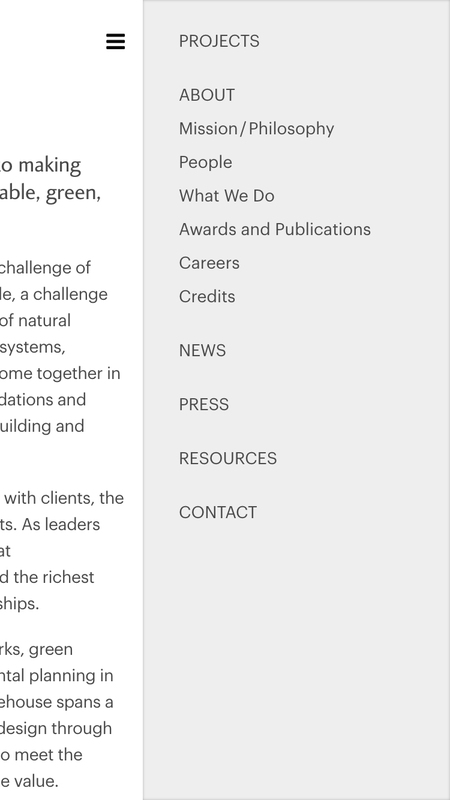 A custom responsive grid was designed where the left fifth of the screen highlights the logo and navigation, while the rest of the page showcases the content, stretching to fill the available space as the screen size increases. 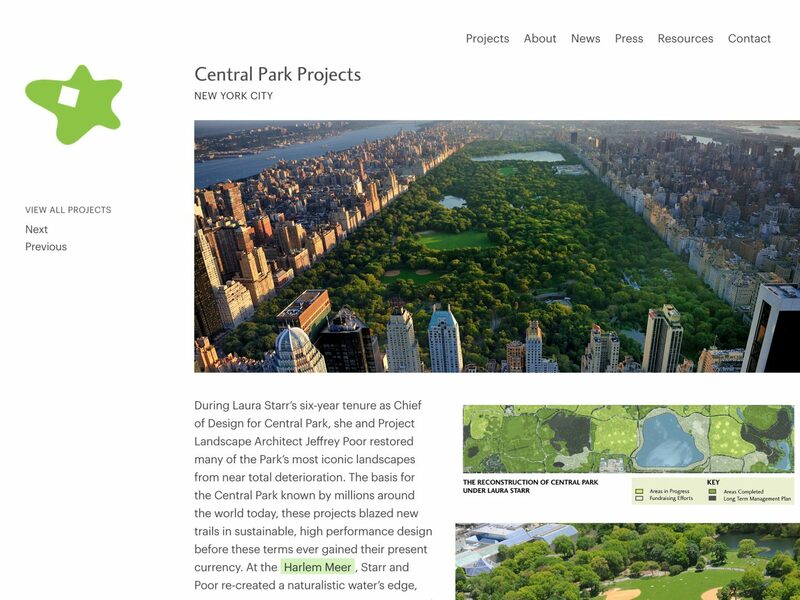 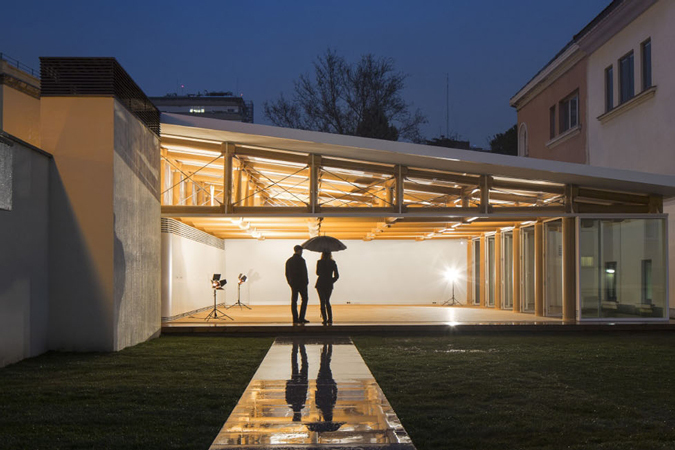 To create a closer connection between the project content and images, local links were created. 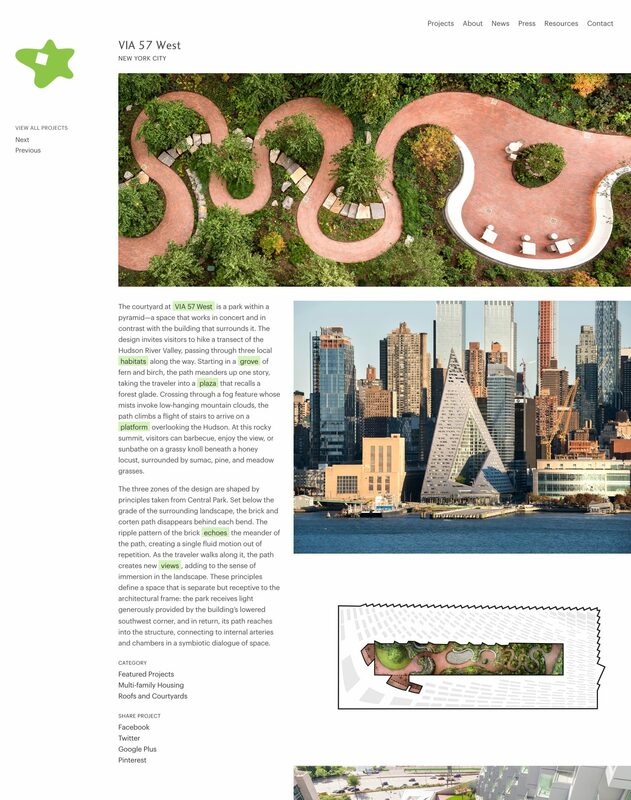 These links scroll the page to the relevant image while keeping the text in view.